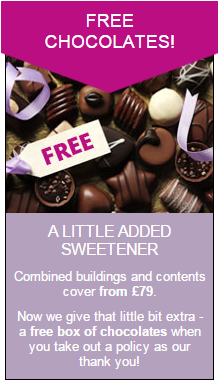 Brown Bevan can provide combined buildings and contents cover from £79, and you’ll get a box of chocolates as an extra housewarming gift from us. At Brown Bevan, we’ve provided insurance cover for a broad range of businesses in Nottingham and the surrounding area. Managing one or more properties is a lot of responsibility, which is where Brown Bevan’s Landlords Insurance can help. Great service all round, thanks to all concerned. My claim was dealt with very quickly and smoothly. Thanks Maria, you are so efficient I like it. Thanks again for your invaluable help.